Jap.123 "Shadows of Destruction! The Awakening of the Messiah of Silence"
Cyprine the fifth and final member of the Witches 5 is told by Doctor Tomoe that the Sovereign is getting weaker. She tells him that she needs more Heart Crystals as soon as possible and promises to get them for her and be much more reliable than Kaori Night. Kaori hears this and becomes furious. She tries to think of who would have the strongest Pure Heart and realises that it must be Hotaru's friend, Rini! She teleports away to steal hers. Cyprine begins summoning all the students of Mugen School who seem to be in some kind of trance, to come to the school. At Serena's house, Rini is having a bath and is still upset over Hotaru. Serene begins comforting her but slips on the soap and falls into the bath with her. Afterwards Rini is a lot more cheerful. As Serena says goodnight, Luna and Artemis tell her that something strange is happening at Mugen School. Serena joins Raye, Mina, Amy and Lita who all go to investigate. When they get to Mugen, they find all the students' Heart Crystals being taken by the mysterious energies of the building and the giant statue of the Sovereign of Silence. Cyprine, who's controlling everything sees them and captures them in a red bubble which takes them up to the roof. Amara and Michelle see this happen and go to help. Upstairs, Cyprine confronts them and tells them she knows they're Sailor Soldiers. 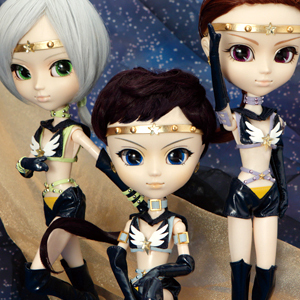 The girls all transform into Sailor Moon, Sailor Mercury, Sailor Mars, Sailor Jupiter and Sailor Venus. Sailor Mars attacks with Mars Celestial Fire Surround but a mysterious red energy blast knocks her over. Sailor Jupiter tries with Jupiter Thunderclap Zap but is also knocked around by that red blast. Cyprine laughs and reveals that she shares her body and mind with another person, Ptilol! Together they block any attack the girls through at them. At Hotaru's house, Rini has once more gone to see if Hotaru has returned. Suddenly the front doors open by themselves. 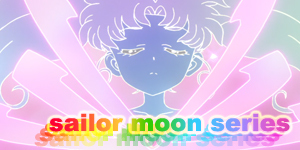 She freaks out a little then transforms into Sailor Mini Moon. When she gets to Hotaru's old bedroom though she finds Kaori Night who had seen her transform from the window, waiting for her. Luckily Tuxedo Mask arrives and tries to defend her. Kaori Night releases an energy blast that throws Mini Moon out the window. As the battle takes itself outside, Sailor Pluto joins in with her Pluto Deadly Scream. Kaori Night though covers the area in red smog and kidnaps Sailor Mini Moon. Back at Mugen, the Sailor Scouts realise that Cyprine and Ptilol are stronger when together. Sailor Mercury uses Mercury Bubbles Blast to hid everyone while Sailor Venus uses Venus Love Chain Encircle to tied their staffs together and Sailor Moon and Mars attack the staffs with Moon Tiara Magic and Mars Fire Ignite. Sailor Jupiter then comes up behind Ptilol and tackles her before running away. Ptilol follows her. Cyprine yells out for her to stop but Sailor Mars tackles her and makes her follow her. Through a lot of jumping around they eventually maneuver the two to fire upon each other and destroy themselves. As soon as they're gone the statue of the Sovereign explodes and returns all the Heart Crystals to the students and a portal appears leading to a second space. Sailor Mercury uses her goggles to detect that this second space leads to another space. They decide to enter. 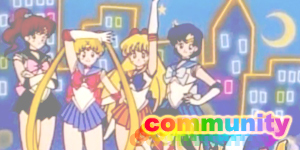 In a hidden room, Sailor Uranus and Neptune find Doctor Tomoe who welcomes them. Sailor Uranus says that she's glad he has finally revealed himself. They're both shocked however when they see the unconscious Sailor Mini Moon on a platform behind him and the Sovereign of Silence in a chair watching. Sailor Uranus runs up to stop them but is stopped by a powerful forcefield. 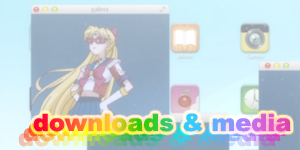 Sailor Moon and the others arrive. 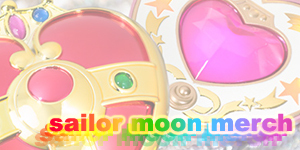 Sailor Moon also tries to save Mini Moon but is in turn shocked as well. 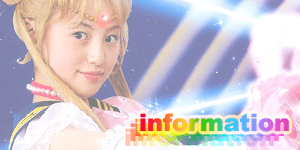 Hotaru's body stands up and extends a long pink energy arm that reaches towards Mini Moon and rips into her chest. 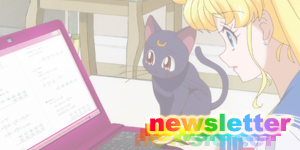 Sailor Mini Moon begins to wake up and grabs it. As she looks to the side she sees Hotaru and whispers that she's happy. Her Pure Heart Crystal is then ripped out of her body and she detransforms back into her regular civilian form. 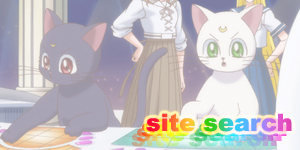 Hotaru swallows the Pure Heart Crystal and immediately transforms into the true form of the Sovereign of Silence. Sailor Uranus and Neptune who were expecting Sailor Saturn are shocked. All the others ask who she is and she responds that she's Mistress 9. Doctor Tomoe tells Kaori Night that he wishes to repay her for her dedication. She begins to tell him that the honour of working with him was enough but is hit by an energy blast fired by Mistress 9 and killed. Mistress 9 tells Tomoe that she was no longer needed and that she served her purpose. The entire building begins to shake and the force field falls down. Sailor Moon grabs Rini's unconscious body and they all run out. As they make it outside, the top of the building explodes. Luna and Artemis meet them at the entrance and explain they got everyone out safely. Sailor Pluto and Tuxedo Mask arrive and are horrified to see Rini like this. Sailor Pluto looks up and sees Sailor Uranus and Neptune looking at her. Soon back at Darien's apartment Darien is using his healing powers to keep Rini stable. Trista tells them that she's going to help Uranus and Neptune kill the Sovereign of Silence and leaves. Darien then encourages everyone to not give up and they decide go and get Rini's Heart Crystal back. Sailor Moon, Sailor Mercury, Sailor Mars, Sailor Jupiter and Sailor Venus march towards Mugen School one last time. This was the first and final full appearance of Cyprine and Ptilol and the first appearance of the Sovereign's true form, Mistress 9! The fight scene in this episode featured a great selection of attacks from several of the Sailor Scouts that hadn't been seen in a while.